The Swiss style of graphic is perhaps the most influential movement of the 20th century. It came to fame in the 1950s, as a clear graphic language of communication, and became a hallmark style internationally. 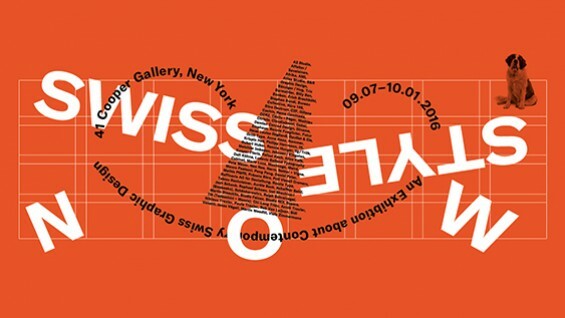 The “Swiss Style Now” exhibition provides a current view of the graphic design scene in Switzerland from the last five years and features more than 120 works from different generations of Swiss designers. Pieces by a hundred currently working Swiss designers, including Ludovic Balland, Stephan Bundi, Büro Destruct, Melchior Imboden, NORM, Felix Pfäffli, Tania Prill, Ralph Schraivogel, Niklaus Troxler, Martin Woodtli, Jonas Vögeli and more, will be on view. Posters, books, brochures, flyers and more make up the body of printed matter being highlighted. Erich Brechbühl, a Lucerne-based independent graphic designer; Noël Leu, co-founder of the Grilli Type foundry; Xavier Erni, co-founder of the graphic design studio Neo Neo; and Alexander Tochilovsky, curator of the Herb Lubalin Study Center of Design and Typography curated the exhibition. Exhibition is free and open to the public. No reservations or tickets necessary. Groups also welcome.